I am still convalescing from my recent pleasure cruise. Everything outside my window is frostbitten. I refuse to add my person to the scene, and since I cannot muster the will or the strength to crawl under the house to see if any pipes burst during the recent cold wave, I will wait and either get a whopping bill from the water company or my house may start to float away – with more ease than the cruise ship did. As I sit here cogitating in my usual manner, I am stricken – if that is not too strong a word – by the lies we travelers tell ourselves.. We toss off such fabrications as, “I flew from Atlanta to Los Angeles,” and think that we have encapsulated the modern era’s efficiency. Nobody confesses to the medieval problems experienced by getting to the Atlanta airport or what happens to the human soul after it touches down at LAX. To give you a better idea of the route, let’s just say that as a North Carolinian starting a journey at Asheville, North Carolina did not seem a stretch. A straight line flight of 130 miles would take us to Charlotte, North Carolina, whence we would take another 1500 mile flight to San Juan, Puerto Rico, and then transfer to a cruise ship. 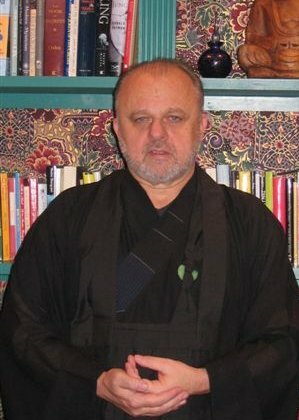 With uncommon confidence I prepared my shipboard togs… bathing suits and dinner jackets… the usual raiment for a Zen Buddhist ex-abbot who is traveling in mufti. The good wife had already conjured up “outfits” that Mythbusters lacks the guts to challenge. As to the sea cruise, the less I have to say about it the more I can protect my illusion of being a social being. Let me simply confine myself to a few irresistible things about the easy lie of flying from one airport to another as if that had anything whatsoever to do with traveling. The first little flight from Asheville to Charlotte was canceled due to bad weather, a fact about which we were notified during the night which meant that at 4 a.m. to make our Charlotte connection we had to drive a rented car over terrain that was too dangerous to fly over. Think about it. Mountains, black ice, and other disconcerting things that go bump in the night. A benign providence interceded, and the flight from Charlotte was delayed two hours so our struggle with the roads was not in vain. Until I am more rested, I will not divulge details of the cruise. Sticking to my topic – a difficult thing these days – I must reveal that the trip back was even more harrowing. Our flight from San Juan to Charlotte was delayed for so long that we were certain to miss our connection to the flight in Charlotte that would bring us back to Asheville. By the grace of God (or the incompetence of airlines – however you want to look at it) the Charlotte flight had also been delayed which gave us an outside chance of making that connection. When we finally arrived in Charlotte, we bolted off the plane to find that the plane to Asheville was on the exact other side of the airport (A to E to be exact) and if we ran we could possibly make it. Running has never been my most cherished activity and running with a 60 plus year old woman with Parkinson’s hardly even counts as a running activity. Nonetheless, there we were and off we went. About half way through our slow motion race, my good wife Nanci looked at me and said, “Go! You can stop the plane for me. Just be yourself when you get there and they won’t leave me behind.” That was all the imprimatur I needed and off I went. I reached terminal E gate 6 as they were just ending their calls and beginning to add stand-by passengers. I went to the little pulpit where they all stand and give out the orders about when you can get on board the plane to heaven and handed Saint Peter my ticket and began my slow explanation that we would have to wait another 5 minutes or so for my wife who would be right there as soon as the EMT’s got the oxygen mask off her. This was the easy part. Then another officious assistant to the keeper of the Gates, hinted strongly that I was not entirely sane – not because of what I was saying but because his little goddam computer showed that my reservation was for the next day – not the present one. My boarding pass and my ticket itinerary showed otherwise, but he was resolute and told me to stand aside. Since Nanci had not yet arrived I did so pleasantly enough. She soon joined me off to the side of the bimah (switched nouns in deference to Nanci’s faith – for soon faith would be needed). Nanci looked at me and noticed that something was not right: I wasn’t my usual jovial self. When she asked I shook my head and said “This attendant seems to think our tickets are for tomorrow’s flight. We are asked to wait.” You can try to imagine what kind of thoughts were going through her head at that moment. She had just pushed and shoved and dragged her right leg through an entire airport only to arrive 24 hours early (according to the demon gate keeper). She started crying. That action, of course, aroused in me my latent Knight Lancelot – my chivalrous persona, my mission as a protector of innocents, and also a few of those rather well honed instincts developed from living on the streets for a certain period in my life. That last part took over. I justify what happened next as simply a result of the cowardice of the chivalrous parts of my personality. Chivalry ran for cover when all hell broke loose. The entire frustrating week, from that first flight cancelation, to spending a week on water in what amounts to a huge shopping mall with a casino attached to it, to this final insult of technological insanity of having tickets and boarding passes printed from the same airline for a date that the same airline misprinted on the manifest. After trying to speak rationally to the attendant who was barring us from boarding our flight, I decided on another tactic and challenged him to a duel. Risking airport security I put my dukes up. Naturally I knew that it was obvious that I was a gentleman of social security age and that behind me, backing me up like Patton’s 3rd Army was a crippled Jewish-American Princess weeping piteously. Contest? There was no contest. Ask Rommel. The enemy threw down his paper weapon and handed us new boarding passes as we ran over him. We chugged down the jetway, triumphant. My peacock demeanor would have lasted all the way to Asheville had it not been for the strange sight that awaited me when I entered the plane. Only half the seats were taken. Sure… Nanci’s seat was fourteen rows behind mine… after all we were together. But when the plane’s doors were shut, I was the only one sitting in my row. And she was the only one sitting in hers. This puzzled me. What was the point of that whole encounter with the Gate Keeper when there were plenty of seats available. What was the goddam point of all this? What had I missed? And then my victory over Satan’s minion soured during that short flight. I had not won at all. Our luggage was not on the plane. There is a lesson in this, but as yet I have not discerned it. When I do, I’ll let you know. As it is I am immobilized by a subtle existential sadness that hovers over such situations. My nerves are jangled and tightly strung. No music is coming from the strings of my lute.